In my quest to be able to provide debut news for all genres, I bought a subscription to Publishers Marketplace. It is valuable to me because it has deal announcements, and the deal announcements have a special category for debuts. I got my first Lunch Weekly on Friday, and it had five debuts. They aren’t useful to me this year, but they can go on the calender for me to check for a release date in about nine months ago. At the same time, I can check the deal announcements from last year for debuts coming out about this time this year. And I found three recent ones. F rom a talented new author comes a poignant and haunting novel of creation and desire, passion and madness, art and love. Wow; this would be a switch for me. 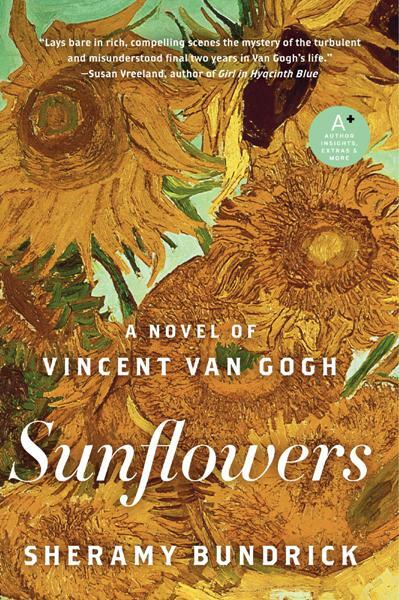 I know about Van Gogh, so I’m wondering about the ending. It looks wonderful, but I’m just not sure if it’s for me. Actual release date: Oct 13. 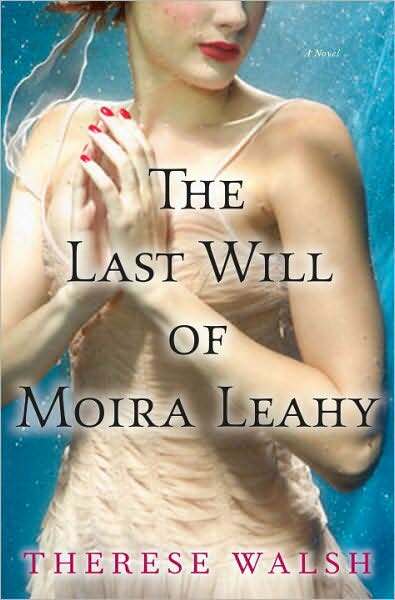 Moira Leahy struggled growing up in her prodigious twin’s shadow; Maeve was always more talented, more daring, more fun. In the autumn of the girls’ sixteenth year, a secret love tempted Moira, allowing her to have her own taste of adventure, but it also damaged the intimate, intuitive relationship she’d always shared with her sister. Though Moira’s adolescent struggles came to a tragic end nearly a decade ago, her brief flirtation with independence will haunt her sister for years to come. When Maeve Leahy lost her twin, she left home and buried her fun-loving spirit to become a workaholic professor of languages at a small college in upstate New York. She lives a solitary life now, controlling what she can and ignoring the rest—the recurring nightmares, hallucinations about a child with red hair, the unquiet sounds in her mind, her reflection in the mirror. It doesn’t help that her mother avoids her, her best friend questions her sanity, and her not-quite boyfriend has left the country. But at least her life is ordered. Exactly how she wants it. Until one night at an auction when Maeve wins a keris, a Javanese dagger that reminds her of her lost youth, and happier days playing pirates with Moira in their father’s boat. Days later, a book on weaponry is nailed to her office door, followed by anonymous notes, including one that invites her to Rome to learn more about the blade and its legendary properties. Opening her heart and mind to possibility, Maeve accepts the invitation, and with it, a window into her past. Ultimately she will revisit the tragic November night that shaped her and Moira’s destinies, and learn that nothing can be taken at face value, as one sister emerges whole and the other’s score is finally settled. This interests me more. I didn’t know where this was going, but I certainly never expected a Javanese dagger and a trip to Rome. I love ancient Rome, and I’m wondering if the history of the dagger will include how it got to Rome. I can imagine some scenarios concerning gladiators or captive soldiers. Both of these authors have very good websites. Okay, now admittedly, I’m a cranky person at the best of times but why does a Javanese dagger lead to Rome. Why can’t it — oh, I don’t know — lead to JAVA???!!! “anonymous notes, including one that invites her to Rome to learn more about the blade and its legendary properties”. Riiiiight, because it’s much better to learn about a blade’s culture half a world away from where it was made. Sorry, my post-colonialist slip is showing here. The second one does sound interesting. I generally don’t read books set in contemporary times, but since it involves history, mystery, and potential otherworldliness, it might be something I’d enjoy. Kaz, I had to laugh because you’ve got a great point! Superwench, our taste in books appear to be much the same!